I love shopping on vacation. It’s not about buying souvenirs. In fact it’s not necessarily about buying anything (though I often do spend my American dollars abroad). Shopping on vacation is about seeing how locals shop, and how the things they buy and the way they buy them are similar to or different from how we do it here. I should add that shopping on vacation is not necessarily about being out of the USA. I love visiting shops and markets in other cities. Going to Fred Meyer in Soldotna Alaska, for instance. The best vacation shopping is outdoor markets. A good market will have everything from fruits and vegetables to meat, fish, and dairy to flowers to arts and crafts to tacky souvenirs. If I’m lucky, or if I plan carefully, I can visit markets on my travels. So here’s what I have found. 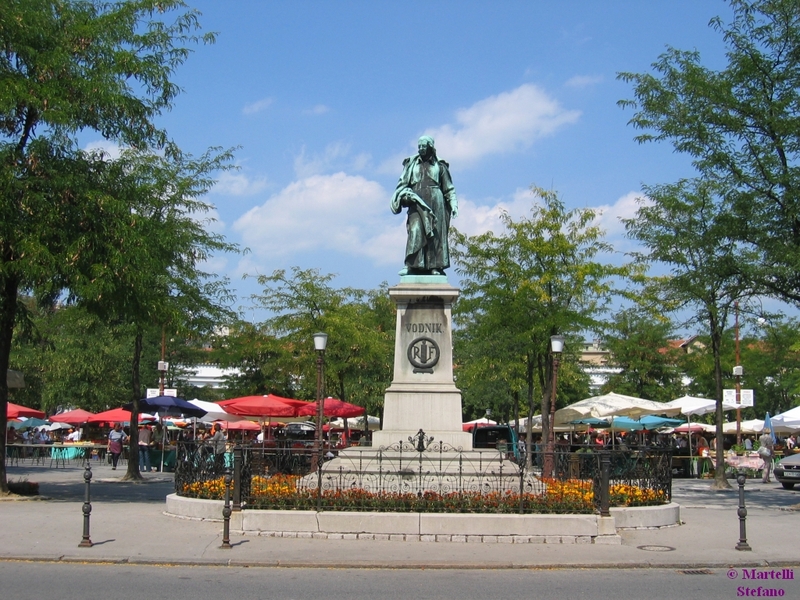 There’s a market every day except Sunday in Ljubljana, and it’s located in Vodnik Square, right in the heart of the old town. 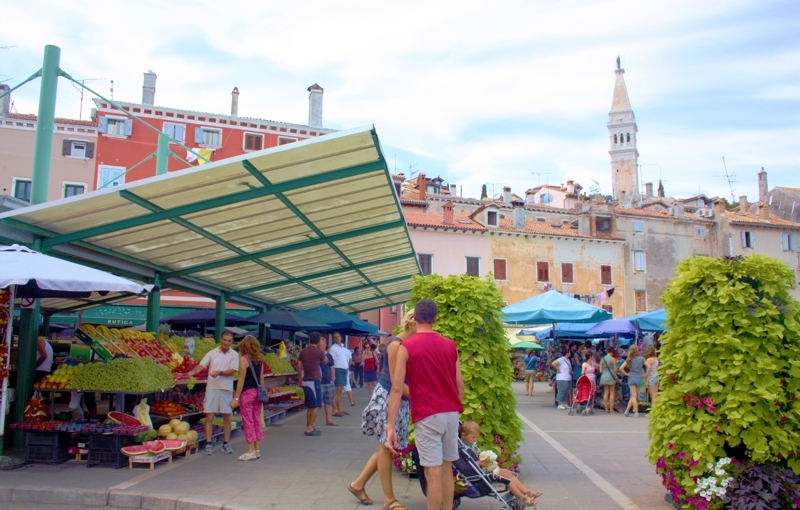 There’s a marketplace in Rovinj, but other than the fish market and the fruit and vegetable market, it’s only open in summer, so we might be too early in the season to enjoy it fully. 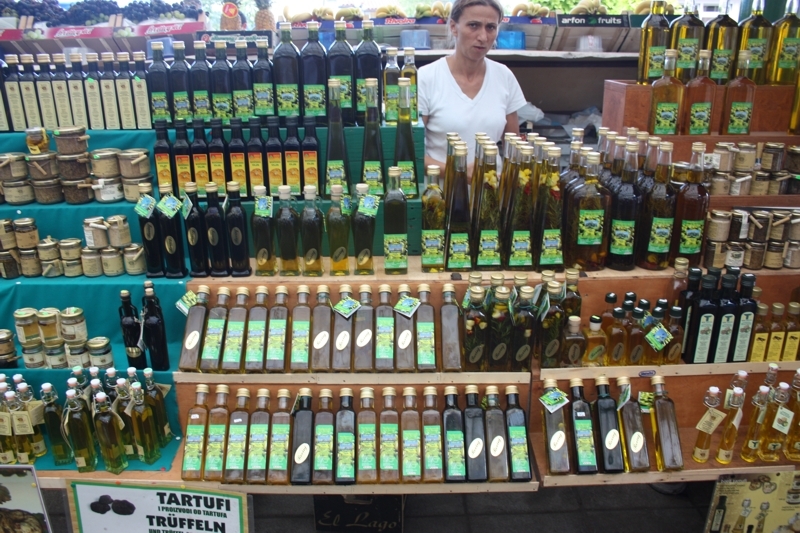 Since Istria is famous for truffles, and they won’t be in season until fall, maybe this will be the place to find the next best thing: truffle oil. 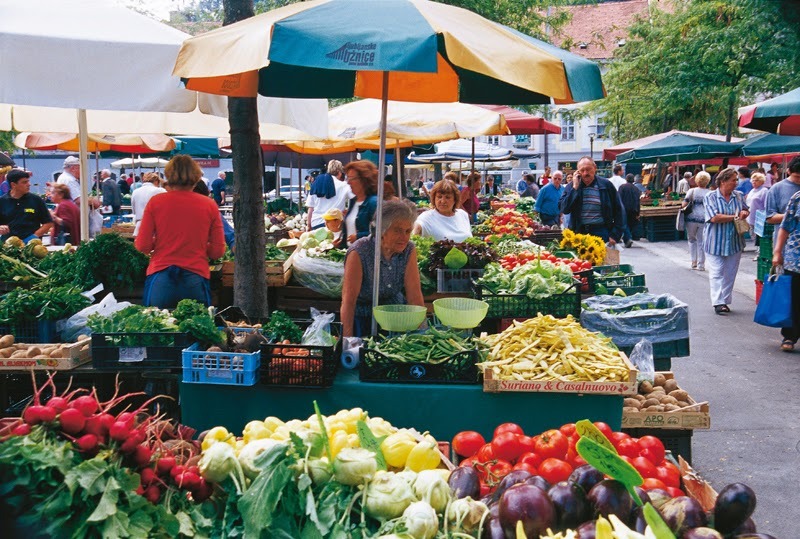 Possibly some of the Istrian hill towns will have markets as well. As I already wrote about in my Sarajevo preview, the entire old town of Sarajevo is called the Baščaršija, which comes from the Turkish for “Main Marketplace.” There are lots of shops throughout the area. 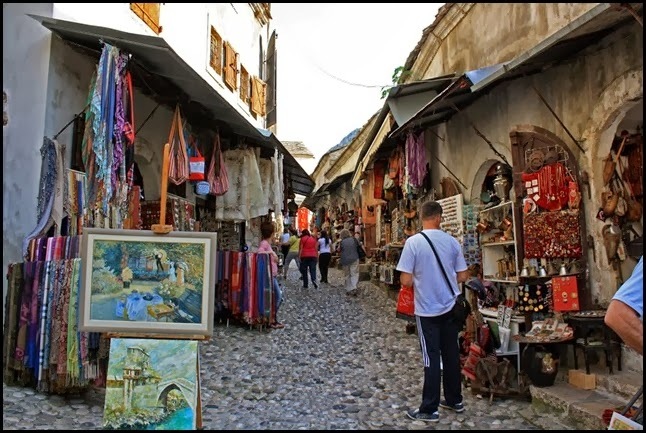 The market in Mostar is right near the old bridge. 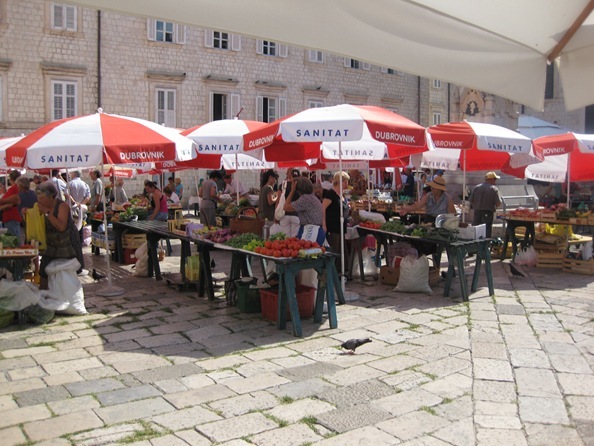 The old town of Dubrovnik has a market at Gundulić Square. It is primarily a fruit and vegetable market in the mornings, but then in the afternoon it is supposedly a great place for arts and crafts and souvenirs.